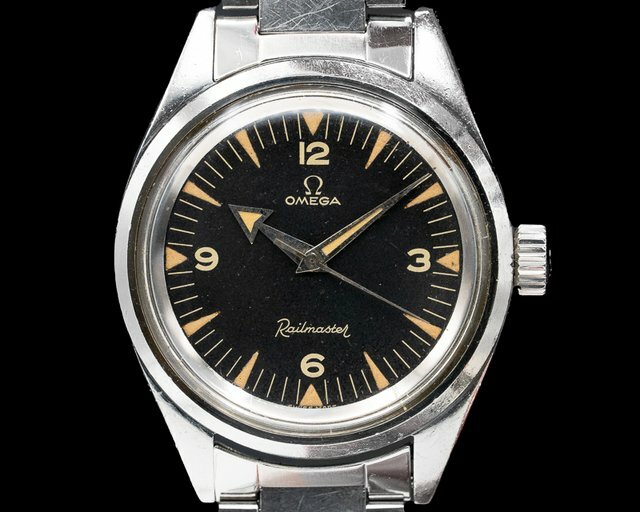 Below is our current in stock inventory of Omega watches. 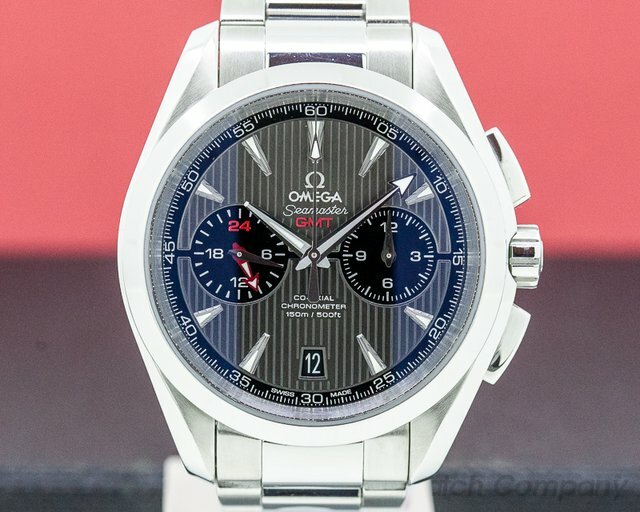 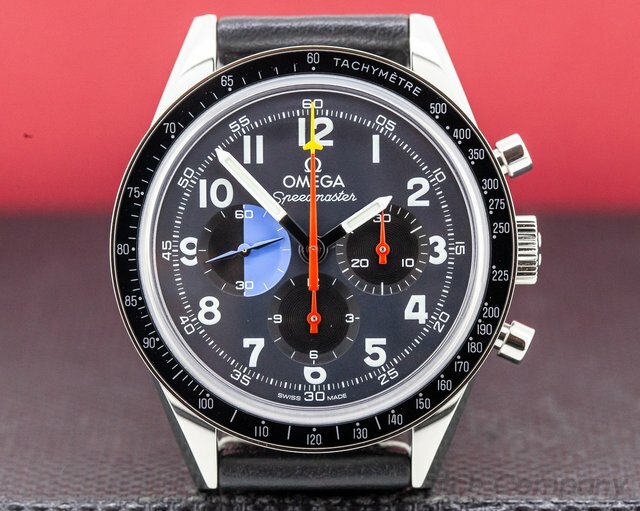 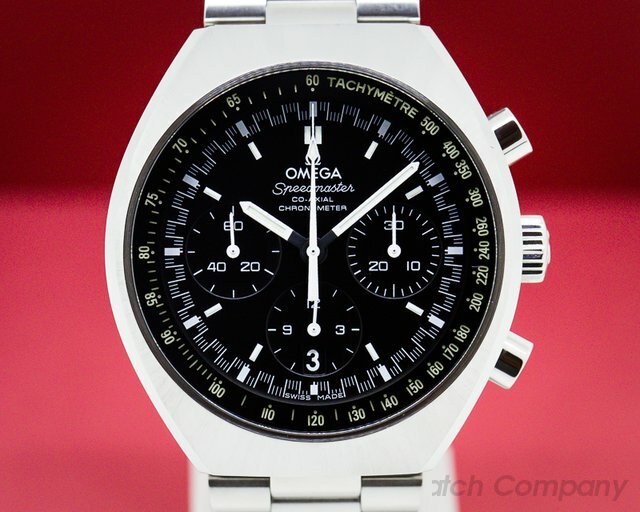 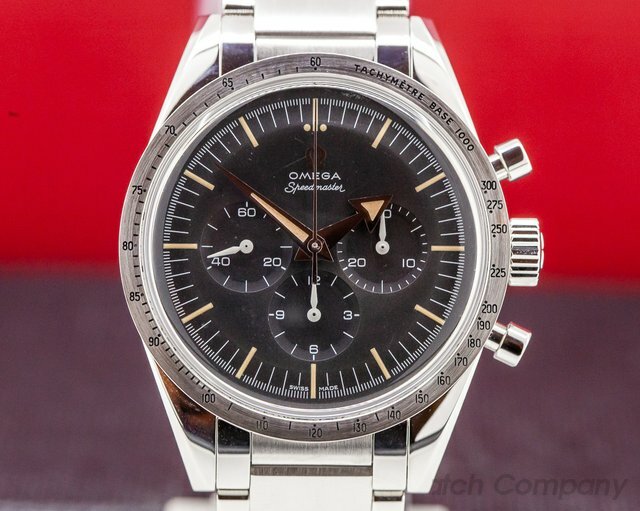 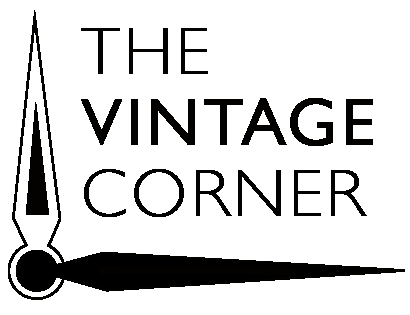 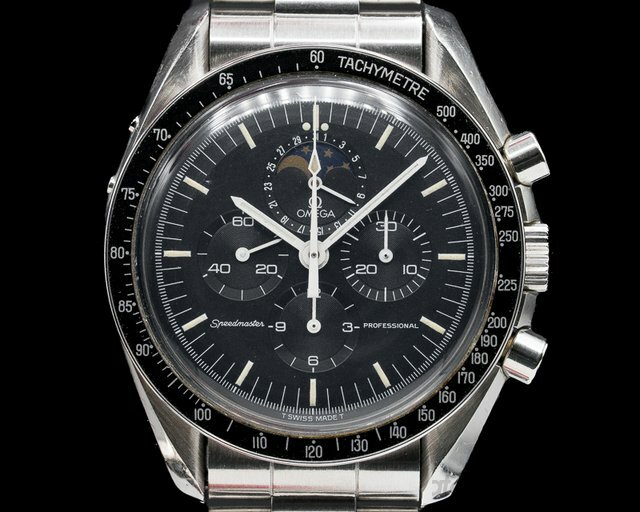 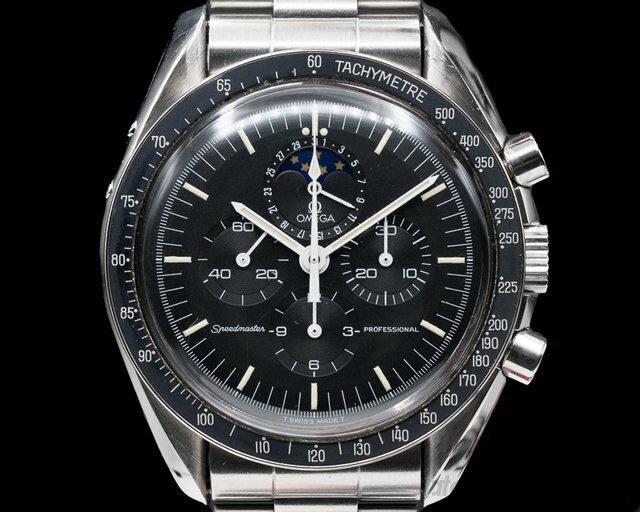 If you have an Omega that you are interested in selling or trading please contact us. 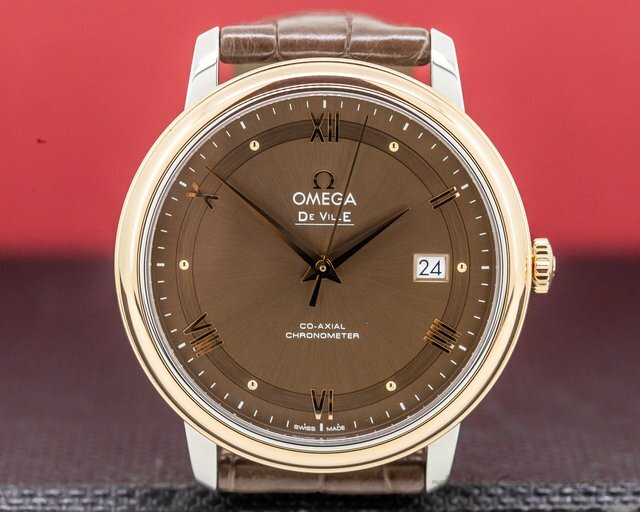 31209 Omega, DeVille Prestige, 424234020 18K Rose Gold and steel, Automatic Co-Axial movement, sapphire crystal, sweep second hand, brown sunray dial with applied Roman numeral and polished index markers, date at 3 o'clock, diameter: 39.5mm, thickness: 8mm, water resistant, like new with Original Box, Instructions and European Watch Co. Warranty Card. 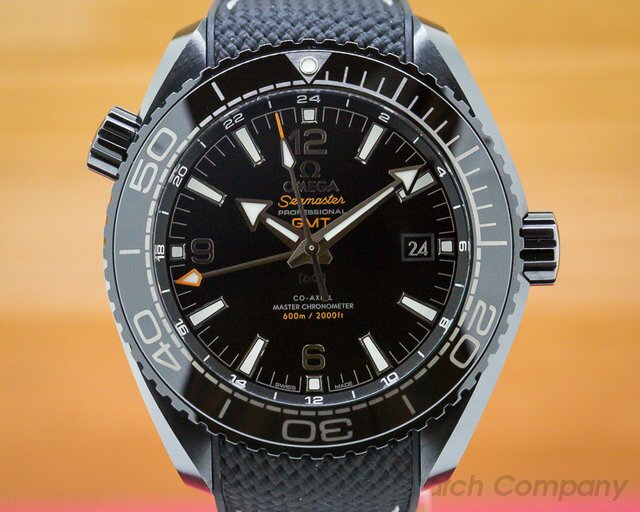 31193 Omega 215.92.46.22.01.001 Seamaster Co-Axial Planet Ocean Deep Black GMT, 21592462201001, 215 924 622 01 001, Ceramic Zirconium Dioxide case on a black kevlar/rubber strap with a ZrO2 deployant buckle, chronometer, automatic movement with new Omega Caliber 8906, 60-hour power reserve, date at 3 o'clock, black dial, black Zirconium Dioxide bezel, center sweep seconds hand, orange GMT hand with a luminous tip, luminous hands and hour markers, sapphire crystal, water resistant to 600m, exhibition caseback, diameter: 45.5mm, thickness: 17.25mm. 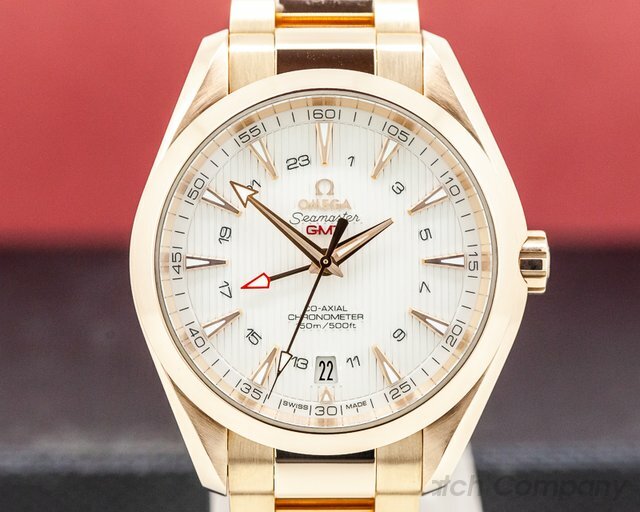 Like new with original box and papers dated April of 2018. 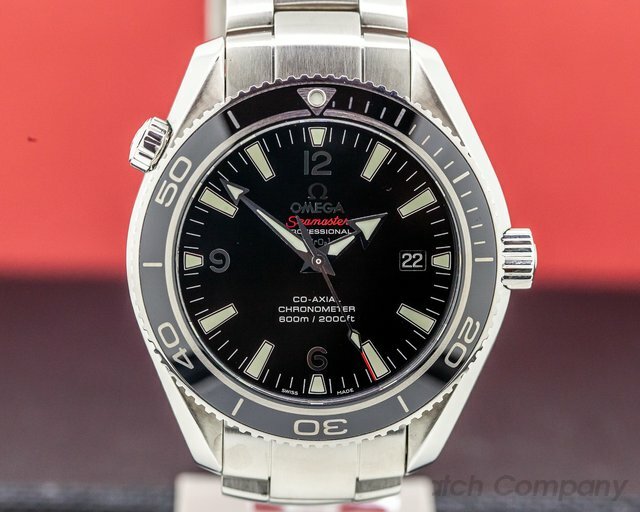 31051 Omega Seamaster Co-Axial Planet Ocean Liquid Metal Limited Series (number 17/1948) 222.30.42.20.01.001, 22230422001001, stainless steel on a stainless steel bracelet, automatic movement with caliber 2500, 48 hour power reserve, chronometer date at 3 o'clock, glossy ceramic black dial, black "Liquid Metal Bezel", sweep second hand, luminous hands and hour markers, sapphire crystal, water resistant to 2000 ft., diameter: 42mm, thickness: 14.5mm, Like new with original box and papers dated January 2010. 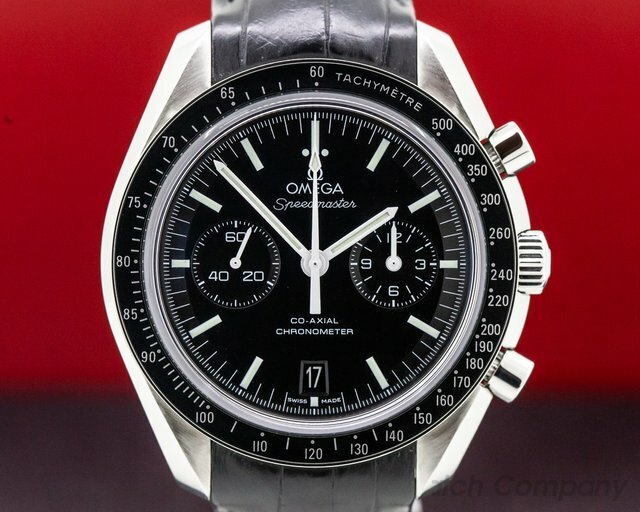 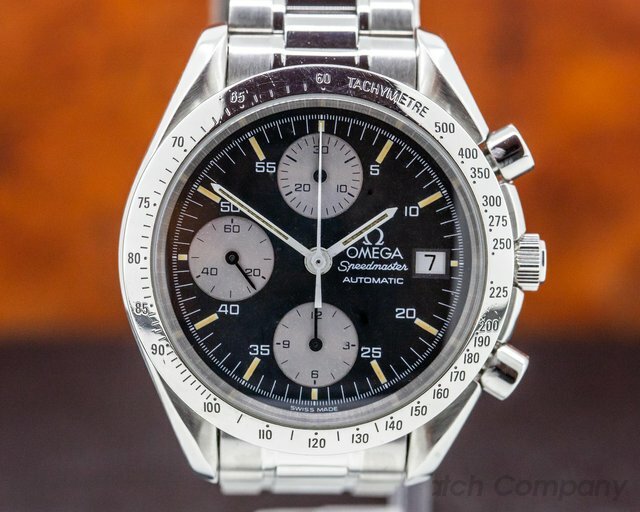 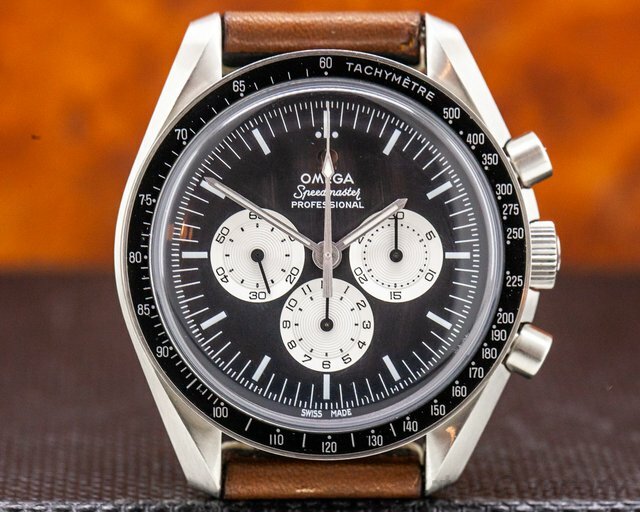 31047 Omega Speedmaster Mark II chronograph 327.10.43.50.01.001,145.014, 32710435001001, stainless steel case on a stainless steel bracelet, automatic co-axial movement caliber 3330, black dial chronograph with white hands and indexes, Diameter: 42.4 x 46.2, Thickness: 15.9mm. 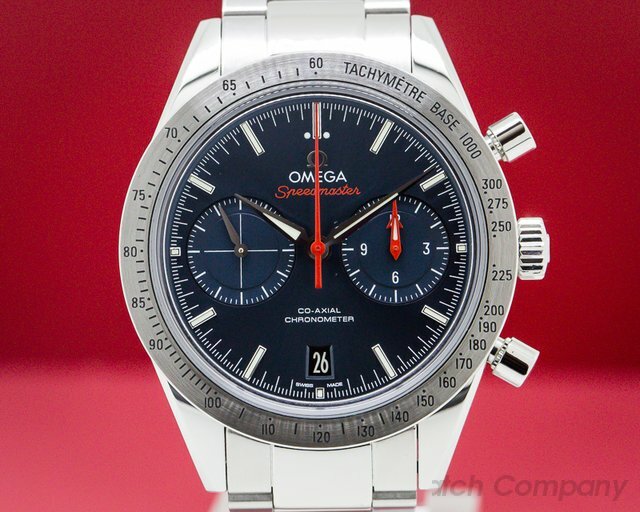 Like new with original box and papers dated September 2014.